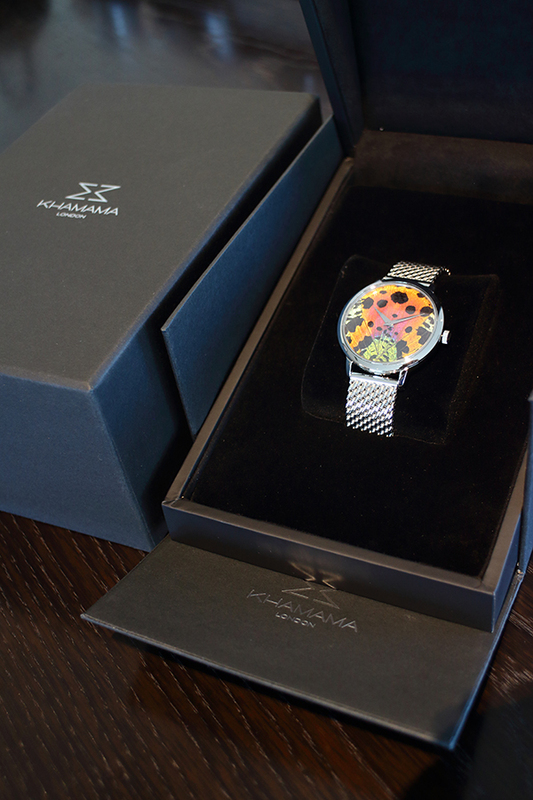 The green luxury brand "KHAMAMA" is using real butterfly wings for their watch faces. The brand is based in England, sources the watch movements from Switzerland, the leather from Italy, and the design is handled by the French jewellery designer Yann Llorens who previously worked for Louis Vuitton, Van Cleef & Arpels, and Lorenz Baumer. The brand KHAMAMA is not yet represented in Japan, but it already appeared on fashion magazines such as "Cosmopolitan", "GQ", "BAZAAR" and some more famous fashion magazines already, only a few years after the brand was established. Some of the people might not be able to imagine jewellery with butterfly wings, but it was quite common in the 18th century. 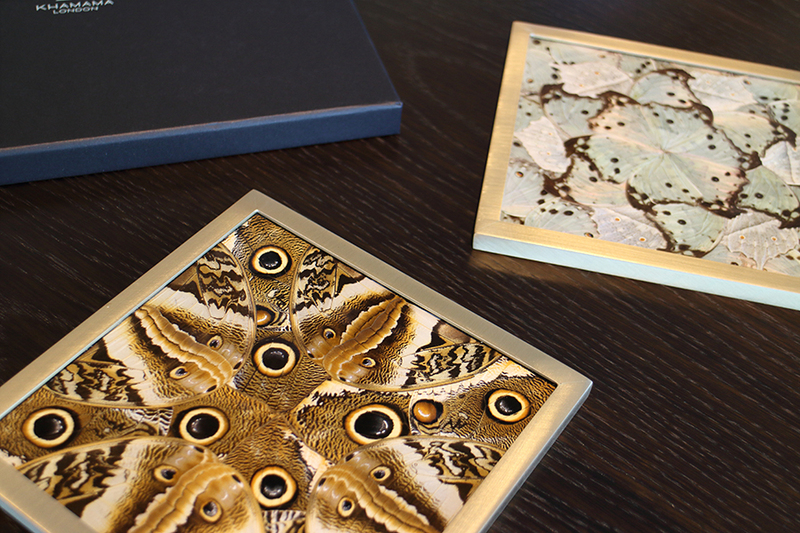 Butterflies were symbols of exotic luxury at the time. After the 18th century, however, butterfly wing jewellery disappeared from the market. 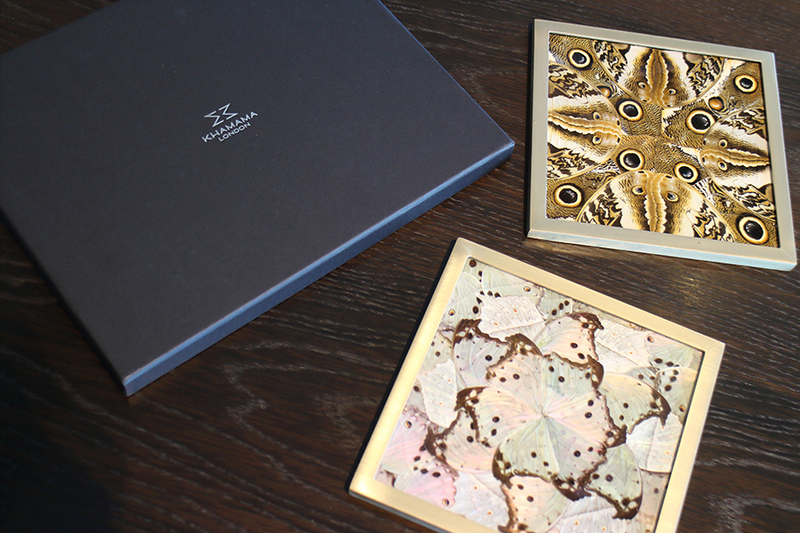 KHAMAMA is bringing back this unique material to the luxury world of the 21st century. KHAMAMA was established by three brothers. They first made a smart phone case which is covered by real butterfly wings in 2017. 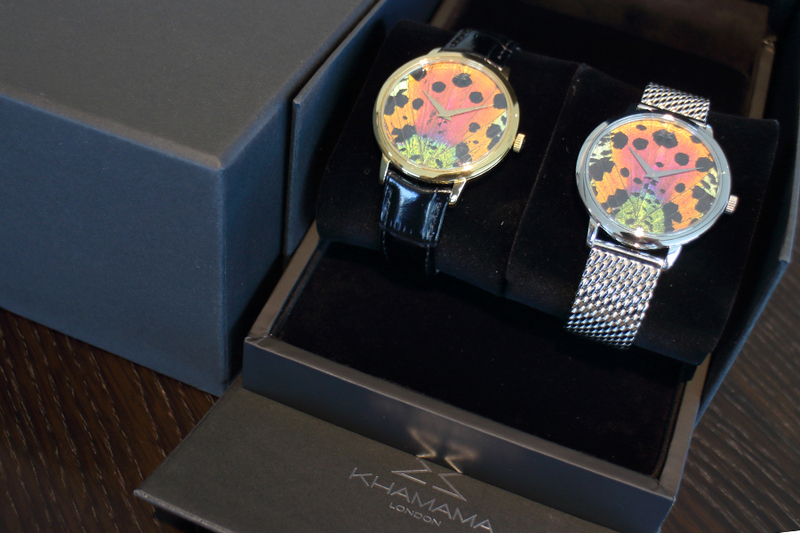 KHAMAMA offers products such as watches, handbags, scarves and bespoke humidor and jewellery boxes. All products except scarves are made with real butterfly wings. These butterfly wings are sustainably farmed in British Guyana, Madagascar, Brazil and Malaysia and other tropical countries. Once the butterflies dies naturally, they recycle and preserve the wings. So no butterflies are harmed in the process. All their products can be customized, so you can make your own style which fascinates people. 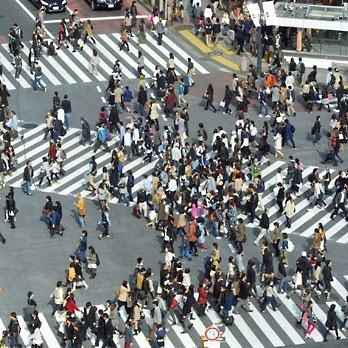 KHAMAMA delivers internationally, so they receive many orders from not only UK, but also the USA, Germany, France, Italy, and even from Korea and Japan. 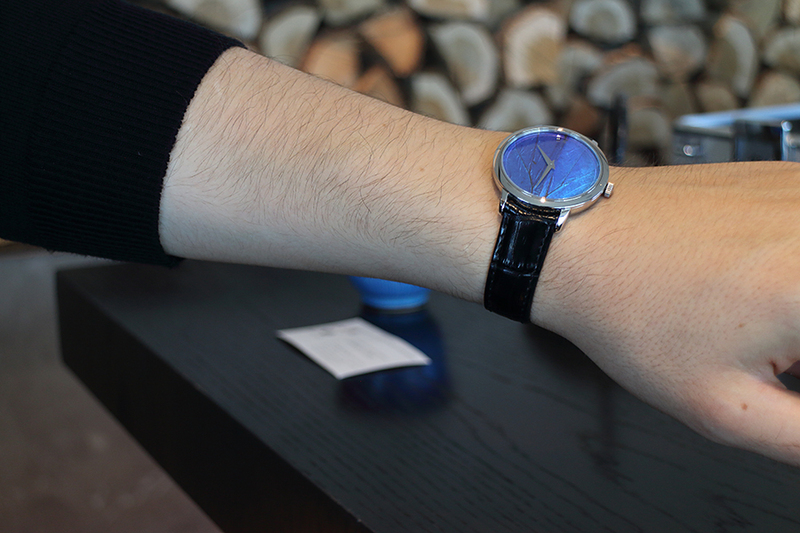 Mr. Amos Hornstein, one of the three brothers who launched KHAMAMA, says luxury watches today are not so much about telling the time anymore, but more about their design, history and uniqueness. 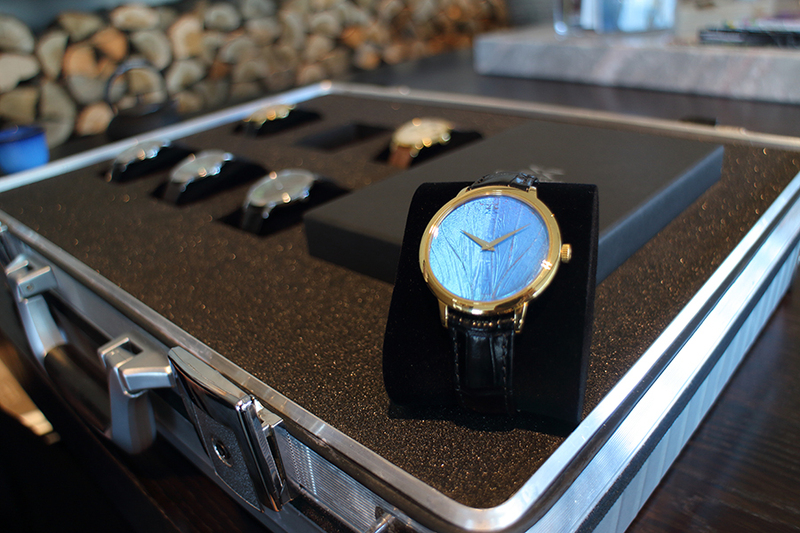 Also their watch collection is not focused on checking the time, but on being exciting accessories to wear at parties and special events. 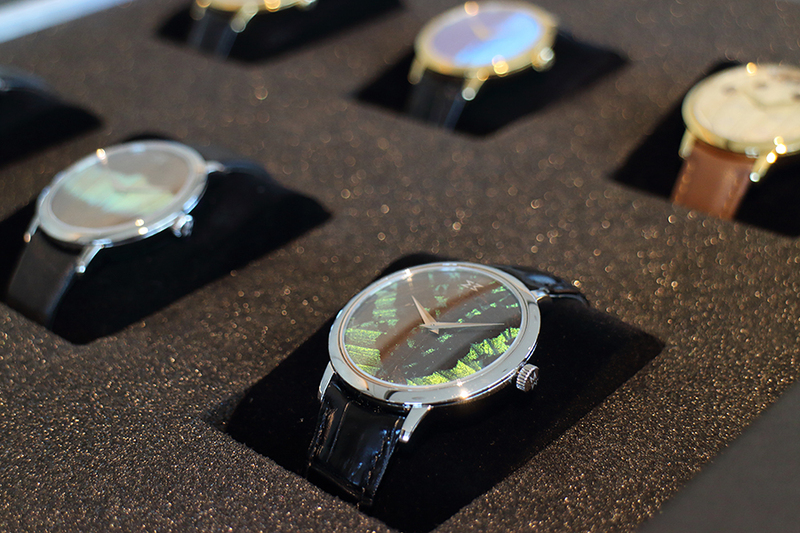 Each watch face is naturally unique and their color is changing from every angle because of using real butterfly wings. 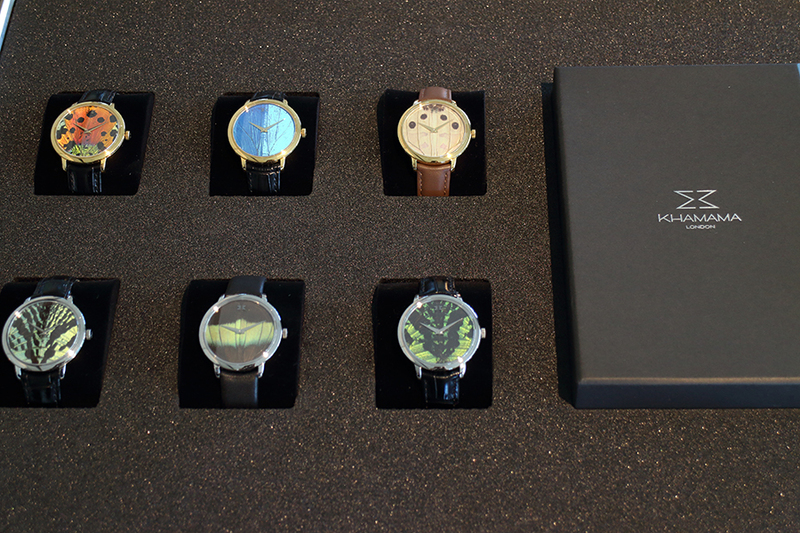 These watches are true luxury items. GUCCI, Alexander McQueen, Valentino, Sophia Webster and many other luxury brands currently use butterfly motifs heavily on their handbags and clothes collections. 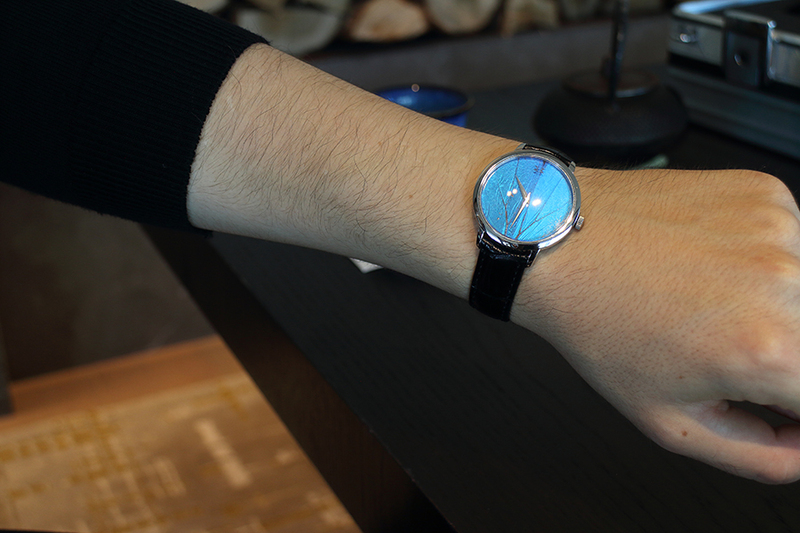 Harry Winston even offered a limited edition of watches which also used real butterfly wings in their watch faces. It seems like butterflies are a large trend in fashion and the use of real butterfly wings will be the next exciting luxury material.